These days, you can build a great 1911 for less money than it might cost to go down to the gun store and pick one up already assembled. The benefit to this method is that you can customize the specifics of your 1911, making it a personal, individual firearm uniquely suited to you and your needs. In this guide, we’ll go over the best build kits for many 1911 custom jobs and provide resources to help you craft your ultimate firearm. What’s in a Build Kit? When it comes to 1911 build kits, there are some components that every good kit will have. These are going to be all of the necessary major components you’ll need to either make a complete weapon from scratch or finish off a build that has part of a frame already put together. This aspect depends on the exact kit you buy. The frame is the general shape of the gun and its “skeleton”. This will dictate where the rest of the pieces fit into the weapon and can affect aspects such as weight, the type of slide and barrels you can mount, and what kind of grip you can place. It may also affect the caliber of ammunition you can chamber, although this is more related to the barrel. The slide is what racks the next round in the chamber and dumps the used casing onto the ground. Make sure you get a good slider that won’t jam or fail as you’re trying to squeeze off rounds. The slider also needs to fit onto your frame well. This will affect the caliber of bullets you can use, as well as their general accuracy and velocity. Some barrels are threaded or have other adjustments to make bullets spin, maintaining their accuracy over longer distances. You’ll definitely want a good barrel for your kit. Beyond those three components, check for triggers, grips, pins, and all the various screws you’ll need to complete a full 1911 or all of the progress remaining for a build that you’ve already started. Some kits come with some extras or attachments, too, and these can be great bargains if you were in the market for that particular attachment anyway. Before we look at the best 1911 build kits, let’s go over a few key factors to watch for that can help you determine when a particular build kit is worth your time. Figure out what you’re going to use the pistol for. Concealed carry? Government model? Whatever your reason, different kits will be better at making different variants of a 1911. Knowing which one you’re going for right at the beginning will prevent you from making any stupid mistakes or buying the wrong kit. It’s important that you buy a good kit, even if it’s a little more expensive. You don’t want to make a 1911 out of cheap parts. The worst-case scenario is that you might end up building a faulty weapon that breaks or explodes when you try to fire. Don’t buy cheap! Buy something made with high-quality care. At the same time, you don’t have to go for the most expensive kit if you know a cheaper one is made with good quality materials. Any 1911 build is going to require tools, but different kits will have different parts in various stages of completion. Try to find a kit that only needs the tools you have in your workshop. If you have everything you can imagine in your garage and can finish any build, you don’t need to worry about this aspect so much. Now that we're all up to speed on how to find and identify good 1911 build kits, we'll show you some of our favorites from all over the market. These will each serve a different particular niche or type of build, so there should be something for everyone. 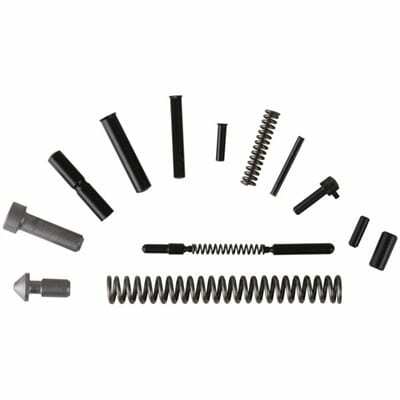 This kit is designed to aid with repairs or complete a 1911 build that needs some finishing touches and precise screw pieces to be fully complete. It’s a perfect complement if you have a build that has all of the most major components already in place since it comes with all of the smaller pieces and pins you could need to take care of securing the more major pieces. This does mean that it’s not a complete kit or one you can use for the majority of a build. Its low price reflects the relatively commonplace nature of all of its parts. The value is in having everything right at your fingertips and in knowing that these small screws are the right ones for a 1911. It eliminates guesswork and provides great value for an excellent price. Because of the economic factor, you can probably find the other parts of a build for similarly good prices and have an overall build that’s cheaper than a store-bought 1911. Since all of these parts are really small, you should endeavor to keep an eye on them and store them carefully, especially with the other parts of your build. This is a repair kit that has some great smaller parts, many of which are hard to find in machine shops and garages across America. If you have most of the parts for your 1911 but are only missing a few key pieces, consider this kit, which is likely to have everything you need and a few extras in case repairs are necessary. Here we have a service pack that’s another great choice if you’re repairing or refurbishing a 1911 Colt build or are putting together your own model but lack the specific set of springs necessary to make everything function together. 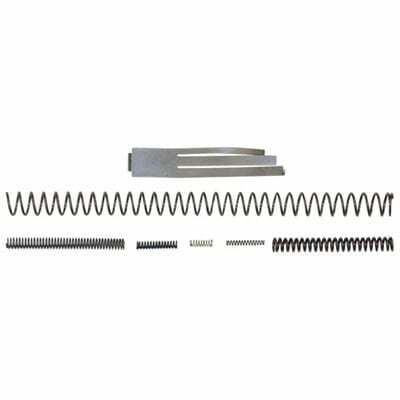 These springs are made for this type of gun, through and through, so you’ll be better off using these pieces specifically rather than trying to size the right kind from other, preexisting springs. The performance will be a lot better, and you can get this pack for an awesome price that makes it well worth your time. The biggest drawback is, again, the fact that this kit doesn’t have all of the pieces for an entire or even most of a 1911 build. Instead, you’ll need to combine this kit with another build kit or a few different pieces from several to make a whole 1911 from scratch. Thankfully, since it's so affordable, this shouldn't be an issue. 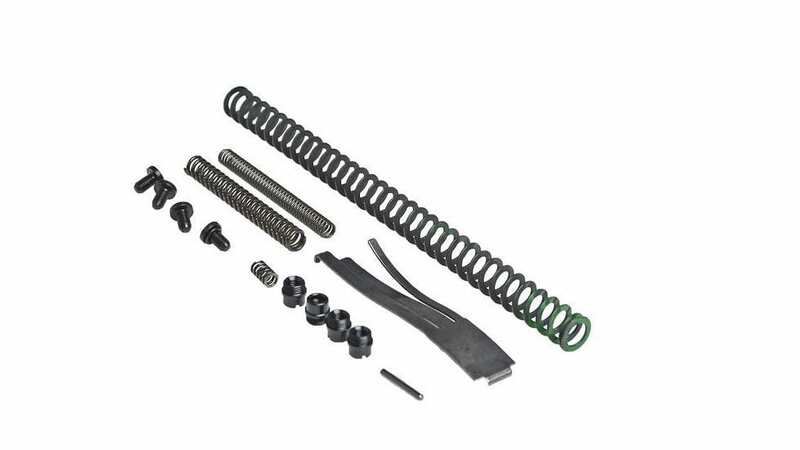 We recommend reading the parts lists of other kits and seeing which ones miss these springs, then combining the two into one purchase if it ends up being less expensive than one of the whole kits or a store-bought 1911. In general, this will be a more affordable option. This inexpensive kit is a great choice if your 1911 is in fighting shape except for a few small pieces that need replacing. Getting this kit is a far better choice than having to buy or build an entirely new pistol! Now, this is a total kit! With this purchase, you'll find everything you could need to make your own, custom 1911. It has springs, screws, slider, barrel, and all the other major pieces necessary for a working firearm. All you need to provide is the frame of your choice and you can start right away. Included are detailed instructions, although you can find a plethora of similar resources on the internet. All of the pieces in the kit are made from stainless steel of the highest quality. This is a hypoallergenic material that anyone can use safely, without gloves. It’s corrosion-resistant, too, and each piece has been machined carefully for a great fit and finish. The steel sights are blued to prevent glare during the packaging and installation process and the slide has serrations to make installing and testing its functionality easy and simple. The entire kit is so well-made that it does cost quite a penny to purchase, but we feel that the excellent craftsmanship really makes the kit worthwhile. If you want the complete 1911 kit experience, go with the Nighthawk. This full kit has everything but a frame. You can practically build a 1911 from scratch with everything included, and it's all made with high-quality stainless steel. The customization level is off the charts. It's expensive but well worth the price and effort. This is another replacement parts kit that’ll fit really well on your existing Sig Sauer model or if you’re trying to emulate a similar firearm. The springs and pieces included are made from very high-quality materials and the springs, in particular, are shaped and cut with excellence and precision. This will allow the pieces to be installed easily and for a long lifetime of high performance. 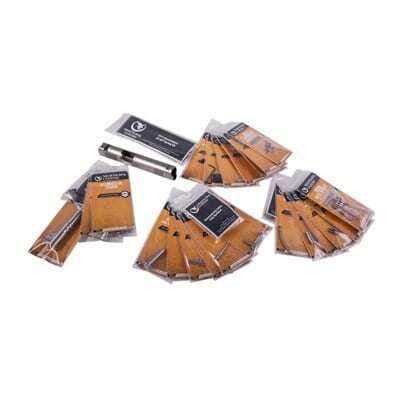 Crucially, this kit has a handy extractor pin for removing screws or pins when you need to make adjustments or if you have to backtrack in your build at any point. We really appreciate this extra bit of functionality and versatility. The pieces are all very affordable, but they are not a full kit, so this relies on you having some, or most, of the other parts already integrated or purchased. We once again recommend that you check the parts lists of other kits and try some combination purchases for the deal with the most economic value. Here’s a great budget repair kit that has some excellent, obscure pieces that are ideal for repairing Sig Sauer and other 1911 models. Some of the springs are hard to find in particular and are made really well in this replacement kit. For the asking price, you can't find a more affordable way to fix or finish a 1911 build. 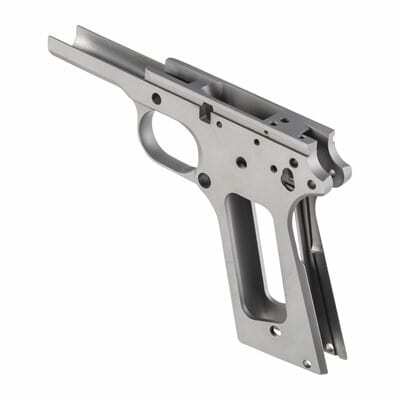 This pivots away from smaller parts and is instead the entire frame you need for any custom 1911 pistol. It has been weighted to be ready for a 10mm chamber, if that’s the kind of firearm you prefer, and no matter what your choice you’ll find that the frame has been precision-machined to a perfect size and scale. This kind of craftsmanship is hard to consistently find. It looks very similar to the government-style pistols many of us like to emulate. The frame is made from carbon steel or corrosion-resistant stainless steel: your choice. The frame rails are also a little oversized to let you custom-fit the slide and make sure that it slides back and forth with all the buttery smoothness you desire. Some good gunsmithing is going to be needed to finish a build, but the results will be more than worth the effort. 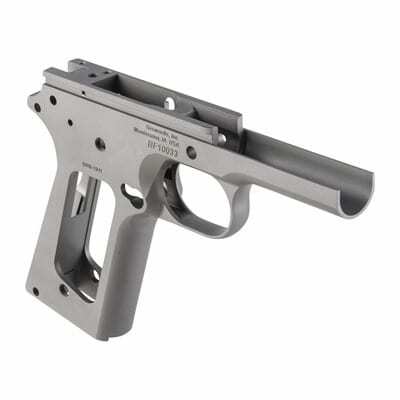 The price is a bit high, but combining this frame with a good parts kit is likely to result in the dream 1911 pistol. Add to that the level of customization you can bring to bear on the frame and you’ve got a product with incredible value. If you’re looking for a custom frame for your 1911, we highly recommend you consider the Brownells 1911 model. This frame is made to match the government-style 1911 that we’re all fond of. You can choose between two types of metal and custom-fit your slider on its oversized rails. It’s pricey, but an incredible deal when you consider the kinds of fantastic 1911s one could make on its frame. Let’s go over a basic outline for building a 1911. First off, make sure you start with an inventory of all the parts in your kit. You want to make sure you have everything you need before you get deep into the build. After that, you'll start by fitting the slide to the frame. This will set the stage for the other parts of the firearm, especially the barrel, which is next on the list. The barrel is critical; make sure you install this part of the gun carefully and with precision since it's the core of the weapon and drastically affects every aspect of a 1911's performance. After the barrel comes the beaver tail fit, which makes the gun look iconic and which helps you get an idea of the way the weapon will feel as it's gripped in its final phase. Triggers and other smaller parts all follow the beaver tail fit. In this order, you'll slowly see the finished 1911 come into view. Check out this video for a more detailed breakdown of the necessary steps to build your own 1911. With all of this in mind, you should be ready to put your personal 1911 together and start having fun. Remember to build your weapon carefully and with special attention. Doing so will mean you’ll be rewarded with a firearm that will last for decades to come and that won’t ever let you down.